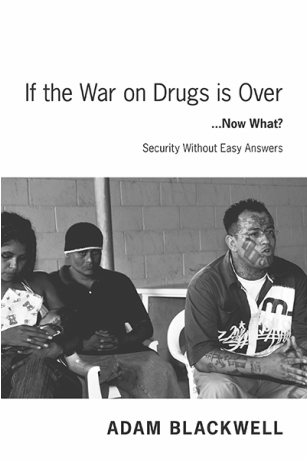 In 2011, the Global Commission on Drug Policy deemed the War on Drugs a failure. Initiated under Richard Nixon in 1971, the War on Drugs’ emphasis on harsh law enforcement and strong-arm police tactics spawned four decades of widespread violence, corruption, economic devastation, and overflowing prisons, with little to no effect on the flow of drugs around the world. Into this environment steps Ambassador Adam Blackwell, Secretary for Multidimensional Security at the Organization of American States. Drawing on his extensive experience working in some of the most violent countries in the world, Ambassador Blackwell argues that the solution to insecurity is not necessarily more security, more police, more troops, or harsher sentences. Instead, using case studies from Latin America and the Caribbean, he argues in favor of a multi-dimensional, data-driven, multi-stakeholder approach that focuses on solving systemic societal problems rather than punishing individual crimes. ​Far from a “soft on crime” method, in this book, Ambassador Blackwell contends that such an approach opens up fresh new ideas and methods for battling crime at home and abroad that, unlike the War on Crime, don’t exacerbate the very problems they are trying to solve.